Karma is in the Cards! Game 1 of the NLCS was a hoot for the Red Sox. 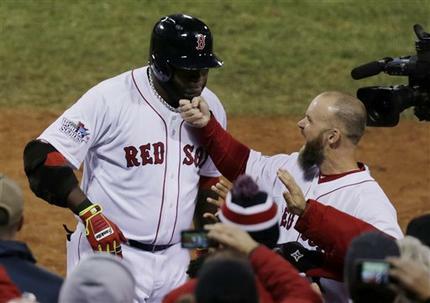 David Ortiz was robbed of a grand slam by Carlos Beltran — a catch that sent the star right fielder to a hospital with bruised ribs — but Big Papi later hit a two-run homer following third baseman David Freese’s bad throw. Well, the bad karma did not last for two games as the St. Louis Red Birds won the second game.